Eduardo Lalo is one of the most vital and unique voices of Latin American literature, but his work is relatively little known in the English-speaking world. That changes now: this masterful translation of his most celebrated novel, Simone—which won the 2013 Rómulo Gallegos International Novel Prize—will introduce an English-language audience to this extraordinary literary talent. A tale of alienation, love, suspense, imagination, and literature set on the streets of San Juan, Puerto Rico, Simone tells the story of a self-educated Chinese immigrant student courting (and stalking) a disillusioned, unnamed writer who is struggling to make a name for himself in a place that is not exactly a hotbed of literary fame. 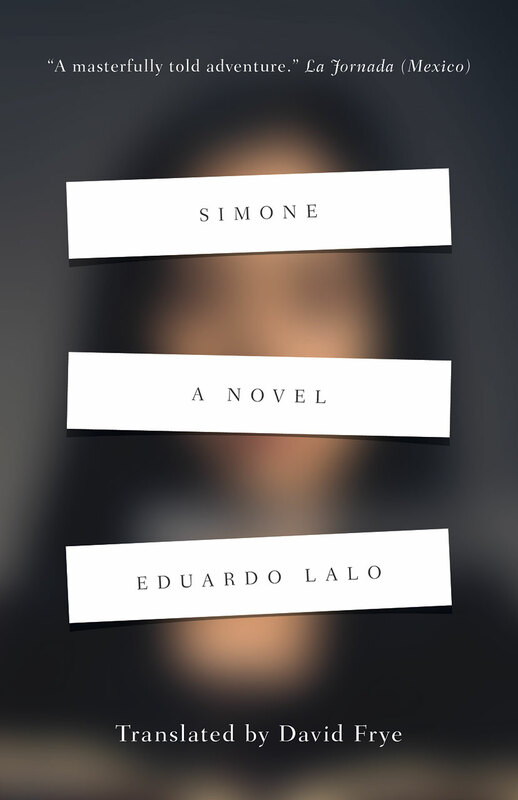 By turns solipsistic and political, romantic and dark, Simone begins with the writer’s frustrated, satiric observations on his native city and the banal life of the university where he teaches—forces utterly at odds with the sensuality of his writing. But, as mysterious messages and literary clues begin to appear—scrawled on sidewalks and walls, inside volumes set out in bookstores, left on his answering machine and under his windshield wiper—Simone progresses into a cat-and-mouse game between the writer and his mystery stalker. When the eponymous Simone’s identity is at last revealed, the writer finds in the life of this Chinese immigrant a plight not unlike his own. Traumatized and lonely, the pair moves towards bittersweet collaborations in passion, grief, and art. "This is ultimately a story about love as language, historical retribution as language, feeling itself as language. Perhaps this is why the book is, at its core, an argument, even a challenge: to bypass a country’s literature is to also ignore its history, its people, its love and its pain, and to care about them is to read them."